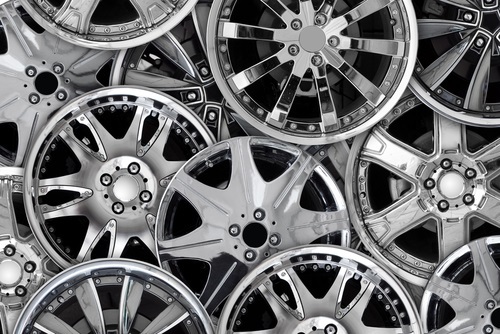 The Australian automotive industry trade body is warning consumers about counterfeit alloy wheels after lab tests revealed they are more dangerous than they appear. The Federal Chamber of Automotive Industries (FCAI) subjected the fake Mercedes-Benz wheels to seven tests including chemical and radiographic analysis, dye penetrant, tensile, hardness and impact testing, and metallographic (microstructure) assessment. The testing was undertaken by the Laboratories for Materials Advanced Testing Services (LMATS) and is part of the FCAI's 'Genuine is Best' campaign. The tests revealed "significant defects" such as shattering over a pothole when driving at 50km per hour, "severe porosity", and "heat tearing" from inconsistent cooling after casting. Genuine alloy wheels had no flaws when tested. The chemical makeup of the fake and genuine wheels appeared to be very similar but the difference in quality was in the way the two types of wheels were manufactured, said Yashwin Mahadea, materials engineer at LMATS. "There might have been impurities present that had lead to gaseous pores. This can be due to excess amounts of hydrogen or oxygen present during the manufacturing process." The poor-quality manufacturing meant some of the pores could even be seen with the naked eye, Mahadea said. Such pores weaken the structure of the wheel, making it hazardous. The fake wheels, which look similar to the genuine wheels, were sourced from an Australian-based online store, said Mark Skaife, FCAI 'Genuine is Best' ambassador. "At first glance you might think you're getting a great deal. But the major concern with fakes is safety, and using them, knowingly or otherwise, means you're taking a huge risk. The way to avoid safety concerns posed by fakes is to ensure you or your repairer source genuine parts from the vehicle maker's authorised supply chain." However, the Australian Automotive Aftermarket Association – which represents the manufacturing, distribution and retail of vehicle parts and accessories that are not part of the original vehicle manufacture –has called the FCAI test a "deliberately misleading and self-serving exercise". "These wheels should not have been imported into the country – they do not meet Australian Standards and would never have been sold by any reputable Australian wheel retailer," Stuart Charity, executive director at the AAAA, told CarAdvice. "The illegal wheels used in the FCAI stunt should never have passed through Australia's border protection system. And those selling illegal wheels should be prosecuted under consumer protection laws." Charity claimed the campaign supports the car industry's commercial interests more than emphasising road safety. "The FCAI stunt was simply a scare campaign funded by the car industry as an advertisement for high profit margin car makers' branded products… If the road safety motive was genuine, the test would have been conducted using a real-world example relating to the average car owner. They should have selected a high volume car model and bought the products from any local tyre and wheel outlet." Aftermarket suppliers who were reputable and met regulations and Australian standards were just as safe to buy from as the genuine manufacturers, Charity said. "A more appropriate message would have been to educate consumers to 'buy product that meets Australian Standards and is fit for purpose'. Another important consumer message is 'don't buy safety critical car parts online from unknown vendors'," he said. In response, an FCAI Genuine is Best spokesman said the fact was fakes could easily be bought and the campaign aimed to emphasise the danger of counterfeit parts and was not an attack of the genuine aftermarket industry.